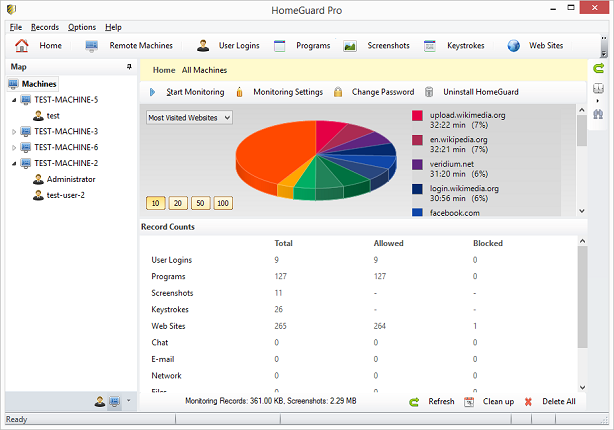 HomeGuard Professional Edition — Safer Internet and Computer Use for All Family Members and Maximum Productivity for Work Teams. 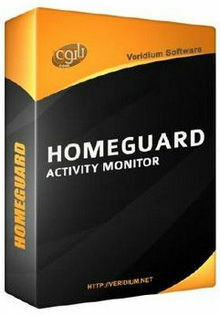 Monitoring Data collected by HomeGuard on monitored (client) computers can be viewed remotely using the HomeGuard server component which keeps a main database of monitoring records that is securely and automatically synchronized with client computers with support for compression and 256-bit strong encryption of all data transferred over the network. The server component runs as a Windows service and can also be used to remotely change monitoring and blocking settings.